These terms also explain how we comply with the General Data Protection Regulation and the Data Protection Act 2018; we will refer to these laws as ‘Data Protection Law’. What we do with your personal data. SMART PARKING Ltd (SC138255) is a company registered in Scotland and can be contacted at Unit 43, Elmdon Trading Estate, Bickenhill Lane, Birmingham, B37 7HE. Our Data Protection Officer can be contacted by emailing dpo@smartparking.com or by calling 0845 2303081. When you enter, remain and exit a car park operated by us, we take photographs of the vehicle and registration by Automatic Number Plate Recognition (ANPR) and CCTV cameras. In car parks where ANPR and CCTV cameras are not in operation our parking wardens are present to deter criminal activity and they may take notes and images about your vehicle and your activity in the parking area. The data gathered by cameras or parking attendants is needed to determine your compliance with the parking and payment terms of your contract with us. Your personal data is being obtained, retained and processed, depending on the category of user you are of our site. We also use our cameras to detect and deter criminal activity. Please note that you have the right to request the above, but under data protection law we must; confirm who you are before providing information and; provide you with an explanation if we do not agree with your request. So if you do make the request we will tell you if the request has been granted or not. You have the right to submit a Subject Access Request and this can be done by emailing dpo@smartparking.com or by calling 0845 2303081 or in writing to our Data Protection Office at the above address. We will need to confirm who you are obtain proof of your identity before providing you with information we may hold about you. The purpose of processing your data is to enable effective car park management and ensure compliance with your contractual obligations having come onto and remained on the car park. There are also legitimate interests for us to do so in order to pursue anyone who may be liable to pay sums due, defend legal claims, protect the rights of a land owner and for our business interests. As a compliant user of this Private Land, the personal data we obtain is your vehicle registration number. We may also capture images of the vehicle, occupants or bystanders. A full list of your Rights under data protection law are summarised above. Where your data is obtained it will be retained for 36 months only in order to be able to cross reference registration numbers for discrepancies, retaining this data in this way enables us to properly and fairly manage the car park which sometimes means cancelling Parking Charges. After this time we then erase your registration and any other images from our records. Where there is a fee which is payable for parking and it appears it has not been we may request details of the registered keeper of the vehicle from the Driver and Vehicle Licensing Agency “DVLA” and other third parties (for example the registered keeper or hire companies where applicable) who may possess information which could assist in pursuance of the unpaid parking fee and resolving any disputes, this could include the name and address of the registered keeper. If you or a third party pay the Parking Charge Notice within 28 days, your personal details will not be retained for longer than 24 Months. Where there is an unpaid fee over 28 days, we may request personal details of the registered keeper of the vehicle from the Driver and Vehicle Licensing Agency “DVLA” and other third parties (for example the registered keeper or hire companies where applicable) who may possess information which could assist in resolving any dispute. Any other information that we gather, in pursuance of the unpaid parking fee, including information that is shared by you with us. When there is an ongoing dispute which requires us to hold the data for longer than 6 years. Where contractual or legal obligations specific to a particular site require us to and we will only keep data for longer if there is no other way of meeting those obligations. If you decide to challenge a parking charge and we reject your challenge, we will provide you with a unique reference code to be used with POPLA, the Parking on Private Land Appeals Service. This is to allow you to contest the charge with an independent adjudicator who will be provided with your data. Solicitors and high court officers/bailiffs where necessary to ensure compliance with your obligations under the contract. Other than the list above we do not share information about you or your vehicle with any other third party. Where data is transferred outside the EU we have ensured that those from the list above accessing the data have the appropriate safeguards in place and are subject to an appropriate supervising authority. If you require more information about items raised in this notice please contact us or you may wish to ask or complain to the Information Commissioner’s Office via the ICO website, www.ico.org.uk although please raise any concerns with us first by contacting us by email at by emailing dpo@smartparking.com or by calling 0845 230 3081. 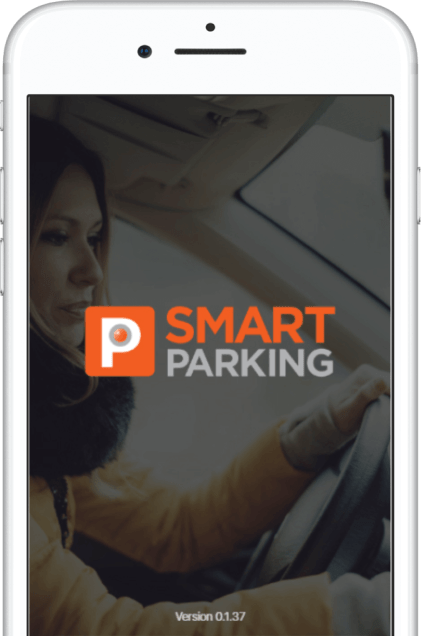 The app contains a raft of features that will help motorists find a park, as well as providing detailed, live information around hours and availability, tariffs, directions and distance.